After a long flight, we were very excited to arrive safely in Blérancourt. The flight went very well. Some of us were able to sleep a little, while others enjoyed playing games or watching movies during the flight. We received many compliments from the flight attendants and fellow passengers about the kindness and politeness of our children. We are very proud of them. In Blérancourt, we were greeted by our cultural exchange trip host families. Everyone was looking forward to meeting each other. We had a little snack at the salle des fêtes with chouquette, a specialty of the area, pain au raisins, croissants, and the very popular Carambars! 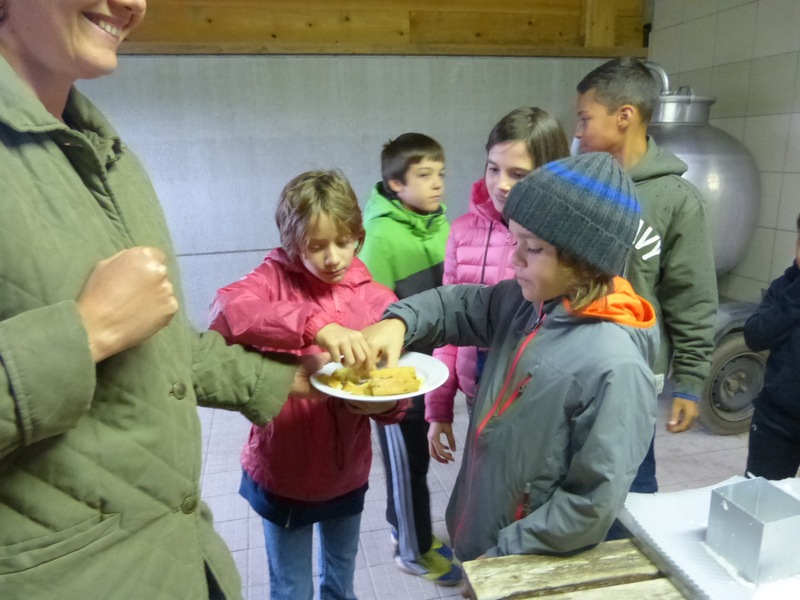 Our students then went with their host families to enjoy some rest. All the students are very happy with their host family and are getting used to the Blérancourt rhythm while adjusting to the jet lag. The next day we awoke to rainy weather, but this didn’t alter our activities as most of them were planned for indoors. After a restful morning with our host families, we went to Quierzy for a tour of a farm and cheese factory, where students learned how the local cheese, le manicamp, is made. 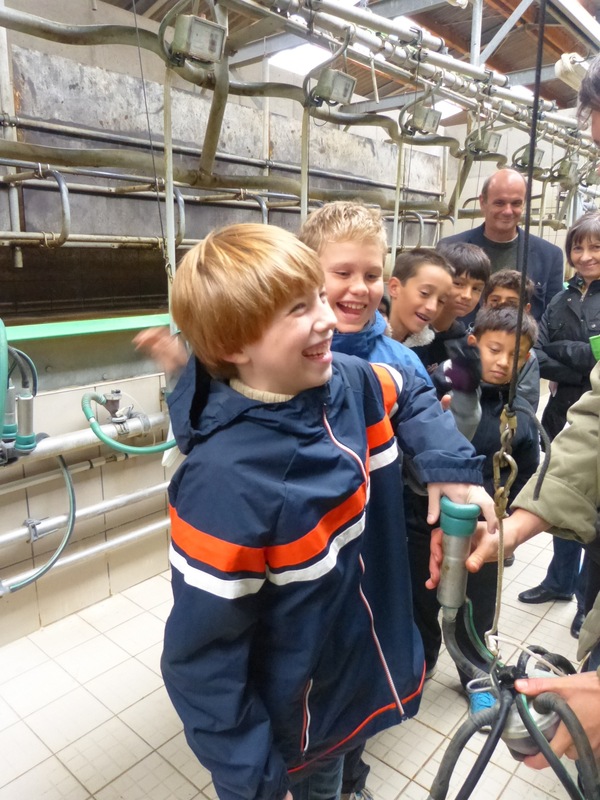 They were able to experience the cheese-making process first hand, and participated in each of the various steps. The visit ended with a tasting of two different cheeses. Tomorrow we will go to Soissons where the students will work with a stone carver and visit the cathedral. We look forward to another great day tomorrow and to a great night of sleep.